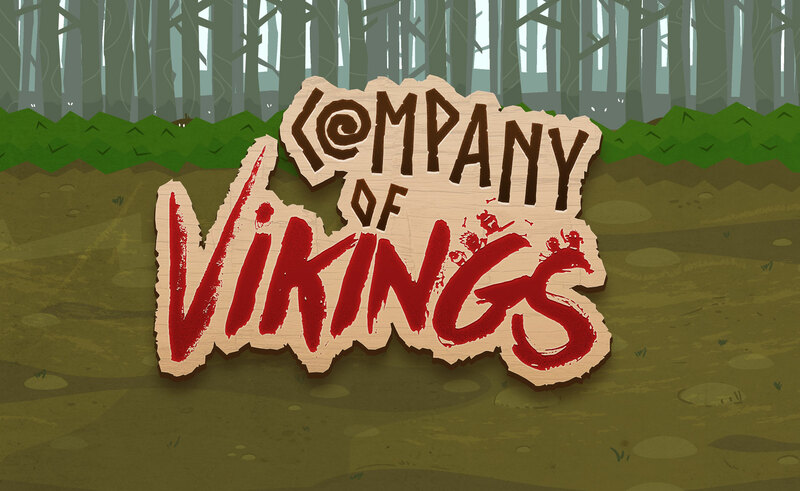 Company of Vikings is a game about killing vikings. Live the tale of a great Kinship! Every viking dreams about Valhalla - everybody knows that. The only way to get there with Glory and Honor is to be killed in a battle. 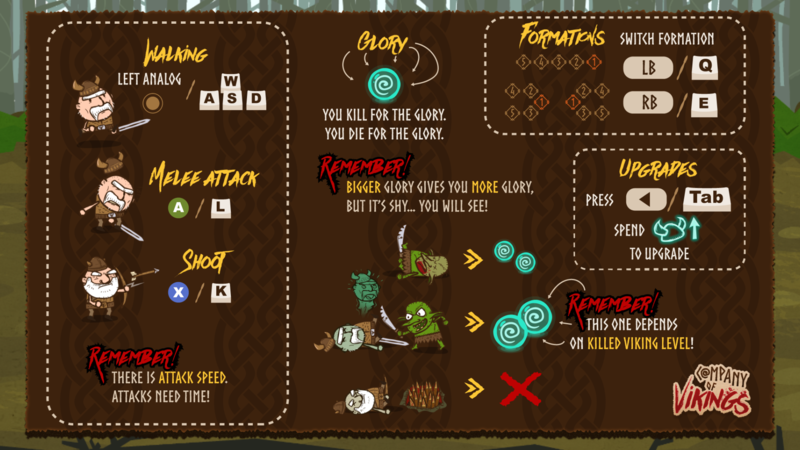 Oh, glory... the more Glory in Valhalla the better, because you want to be selected by Odin, right? 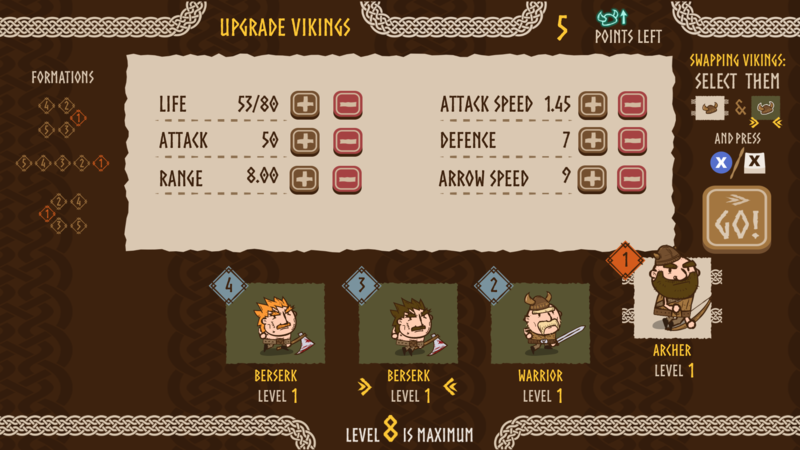 In our game you take up the role of a Family Spirit and your goal is to inspire your Vikings to live and die in glory by which they grow the glory of their family! 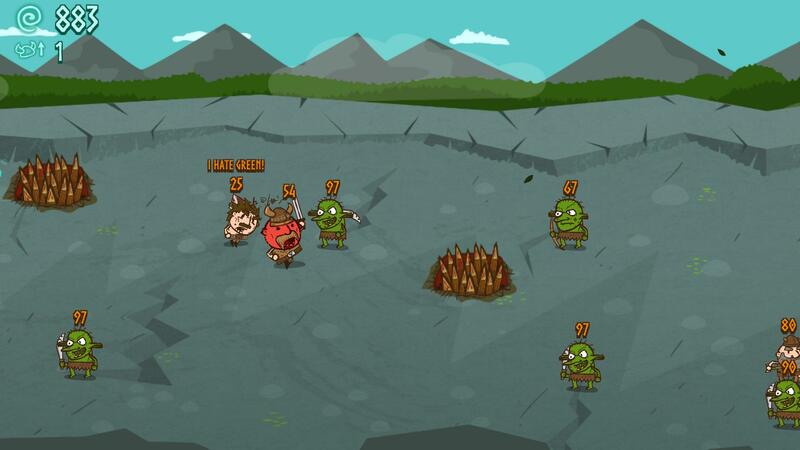 During your adventure rescue Vikings and join them to your growing party. Every few collected Glory will give you Upgrade point. 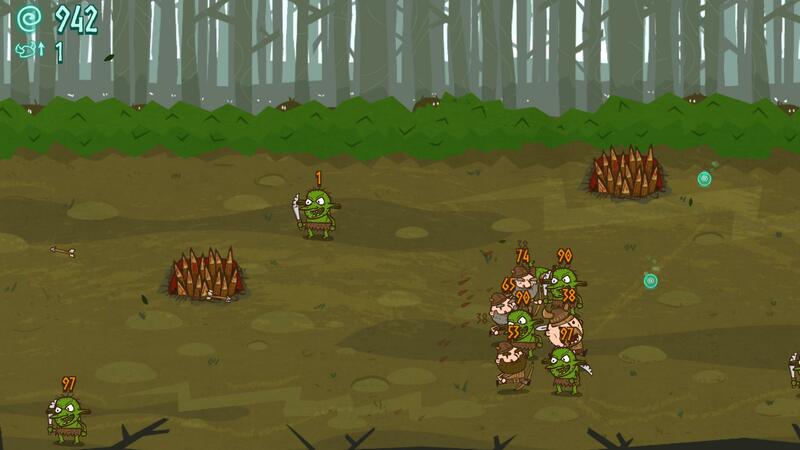 A Glorious Viking killing some more goblins will not make a great story. But imagine a heroic death! That's worth a lot of glory. Find your best crew for battle! Use the best formation that fits your company! Kill them for the Glory of Odin!